Second by second two performers crisply count opening minutes. They mark the passage of time as dancers advance, propelled by the glacial undulation of spines. In slow motion, a minute is excavated, laid open moment by moment. Comically offsetting this gentle unfolding of present into future, the early 1990s are recalled with immediacy, clarity, and acoustic guitar-induced nostalgia. We thought we knew the center, but don’t you see? It wasn’t like that at all. HIJACK’s 20th anniversary performance, redundant, ready, reading, radish, Red Eye, thus begins, aptly co-mingling past, present, and future through their distinct blend of absurdity, pop songs, unexpected juxtapositions, raw edges, task-oriented repetitions, and sustained moments of humble, human beauty. Alongside this mélange of time is the blurring and problematizing of common distinctions — practice/performance, dance/not dance, and high/low culture. HIJACK co-founders and collaborators Kristin Van Loon and Arwen Wilder play with these intersections and in-betweens, all the while maintaining a generous and calm comportment that belies methodical structure, research, and reference. Replete with often-obscured references, backstories, and structures, HIJACK’s work draws from diverse sources to create choreography connected to dense, layered references. These sources are, however, most prominent in the process stage, where they serve as an external starting point — structure, method, or image — used for generating movement. In this manner, they both permeate and stand apart from HIJACK’s work, providing rich material for developing dance that stands alone. At a recent Walker Art Center Talking Dance lecture, Wilder and Van Loon shared some of the visual artists whose aesthetics, approaches, and methods have informed their work. Providing a telescopic view into this arena behind the scenes, they described how art comes to influence both form and content. 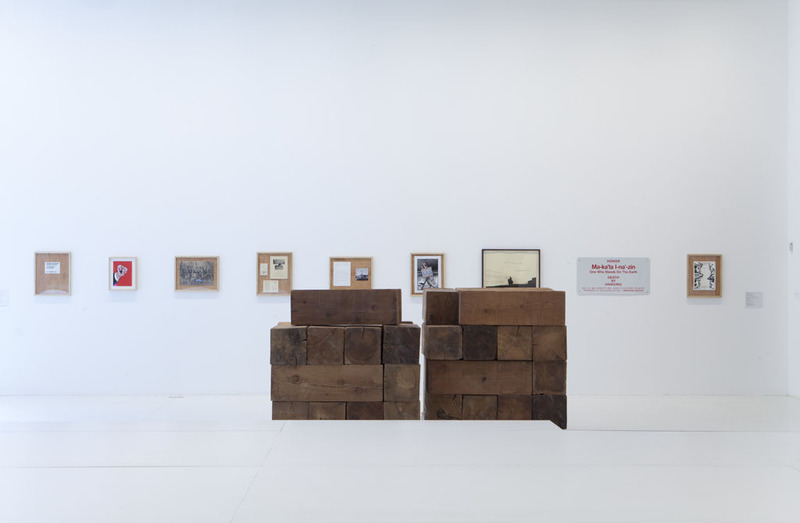 Goshka Macuga’s Redwood Blocks for Carl Andre’s Aisle (1981) (Displayed as stored by the Walker Art Center) brought out questions of when an object is or isn’t art. Applied to dance, this opened up nebulous distinctions between warm-up, rehearsal, and performance. Bernd and Hilla Becher’s photographs of water towers were recreated in movement or referenced in their ordered grid. The lines of Sol LeWitt’s wall drawings were translated into expansive or constrained trajectories. Inspired by Karinne Kaithley Syres’ Untitled (Perth Dickinson), the hidden activity of the stop motion animation filmmaker was transformed into detached movement sequences, centered by the completion of a series of meticulous, tiny adjustments. The abundance of these sources and methods may inspire a desire to mine the dance for citations, to dissect movements in search of origins. Wilder and Van Loon’s lecture enabled the audience to participate in this pleasure of knowing, revealing normally hidden processes, inspirations, and histories. But they emphasized as well that direct recognition is not the goal. Indeed, they explicitly reveal references when deemed important, titling past works Amelia Earharts (2000), Hijack’s Yoko Show (2003), and Kristin is Eva Peron/Eva Hesse/Eva Braun; Arwen is Imelda Marcos (2004). Going beyond a specific focus on the transformation of visual art into movement, HIJACK’s lecture served as an immersion into the broader ambiances, stances, and practices in which their choreography marinates. 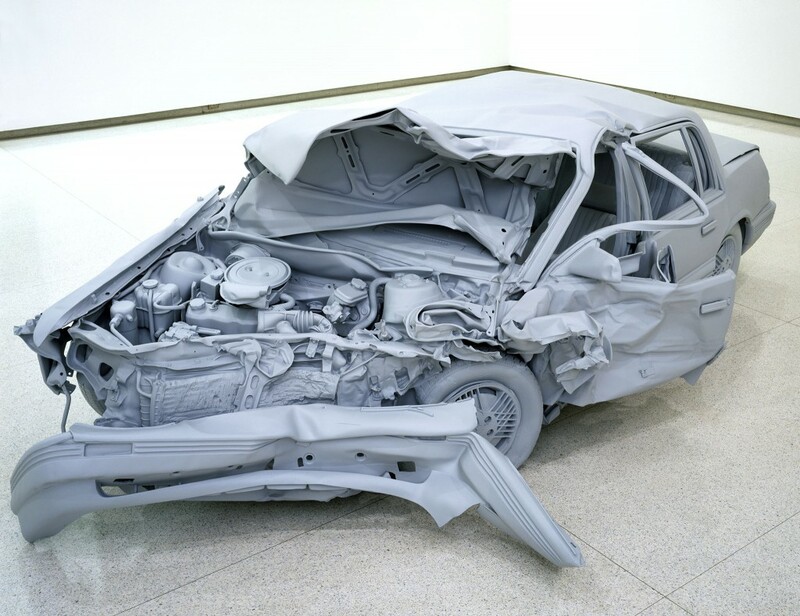 Surrounding their work are John Baldessari’s numerous attempts as final product, Claes Oldenburg’s aggrandized commonplace objects, Charles Ray’s meticulous reconstruction of a chance event, Robert Rauschenberg’s “combines” of assembled detritus, Richard Serra’s list of verbs as directives for creation, and Andy Warhol’s intentional silkscreened imperfection. Running through these varied artists is a focus on the everyday, a mundane transported, transformed, and seen anew. HIJACK’s work inhabits the space where the everyday becomes art, performed with a care and focus that pulls apart these divisions between art and being. They are performers and yet they never cease to be also people. Discussing their new Walker commission redundant, ready, reading, radish, Red Eye with Linda Shapiro, Van Loon and Wilder described this tension between the aura of performance and the human who performs, explaining that “Our physical limits are plainly exposed… We invite The Ideal (in your imaginations) to hobnob with The Reality (of our effort).” One may grasp at perfection beyond the self, but there is beauty, too, in the human act of striving. In this vein, redundant, ready, reading, radish, Red Eye presents multiple avenues for seeing process in the performance. In part this is present in the ballet barres that serve as varied set devices, but also connect the work to technique training and rehearsal spaces. Dance and visual arts are, however, not the sole sources drawn from in developing this work. In an interview with Justin Jones, and a short film for MANCC, Wilder and van Loon discussed their recent research into print media and narrative. Writing exercises became part of their creative process, undergirding movement with the momentum of narrative development – conflict, action, and resolution. Print newspapers reinforced interests in mass-produced disposability while also providing conceptual fodder – how can an error and an editor’s correction co-exist as part of a larger whole? redundant, ready, reading, radish, Red Eye draws to a close, echoing across time the beginnings of HIJACK. Two women dance together, each carving into the negative space created by the other, each complementing, contrasting, and reinforcing her partner. 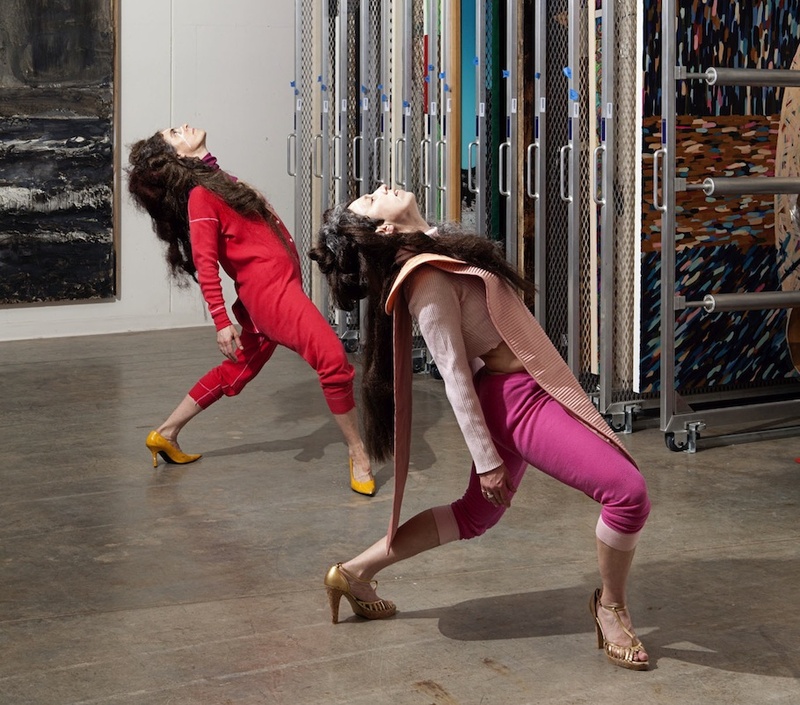 Over the years, Van Loon and Wilder have showcased their abilities for humor, energy, grappling bodies, exaggerated costuming, elaborate partnering, and art references with teeth. Here, they present a quiet, intimate scene. Tracing pictures in air, they invite us into their world, where their bodies weave through space together, always in relation to each other, yet always distinct. HIJACK perform the world premiere of redundant, ready, reading, radish, Red Eye December 5–7 at 8 pm in the McGuire Theater. Artists’ Toast: After the opening night performance on Thursday, December 5; join us in the balcony bar for a toast to the artists. Q&A with HIJACK: Stay after the performance on Friday, December 6 for a discussion with Kristin Van Loon and Arwen Wilder, moderated by Miriam Must, co-founder of Red Eye Theater. SpeakEasy: Join us in the Balcony Bar following the performance on Saturday, December 7, for a conversation about redundant, ready, reading, radish, Red Eye facilitated by Walker Tour Guide Mary Dew and local artist Eben Kowler.